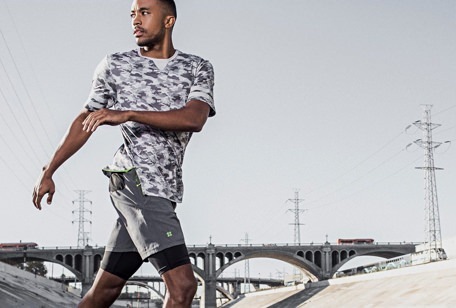 The Best Gym Shorts for Next Level Fitness | Valet. If you look around the gym, a lot of guys are still pulling on the same ill-fitting mesh shorts they wore back in high school. Thankfully, the boom in athleisure and performance wear has lead to a new breed of gym shorts that are not only flattering but also a whole lot more functional too. 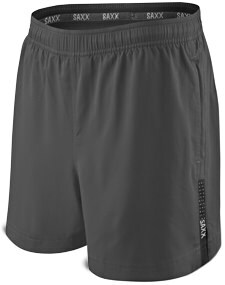 With such features as moisture-wicking fabrics, laser-cut ventilation and secure pockets engineered to keep keys and phones safe, these shorts are much better for your workouts. And thanks to smarter fits and snug-in-all-the-right-places liners, they’re actually a lot more comfortable than those ratty mesh shorts. If your normal laundry detergent isn't quite washing out the stink, try this performance wash formulated to kill bacteria and remove odor causing body oils that cling to synthetic performance fabrics. Grand AC's 2-in-1 Decker shorts have built-in compression briefs for support and comfort. 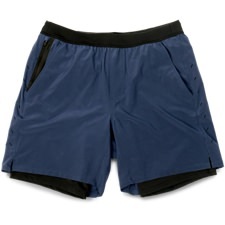 The lightweight shorts also feature secure, zippered pockets including a handy one in the back, near the waistband. That's a lot of features for such a reasonable price. Perfect for those who tear up the treadmill or kill it in spin class, these purpose-built short are actually made by one of our favorite modern underwear brands. Designed for contact-free support, the built-in hammock liner pouch keeps everything in place—no chaffing, bunching or rearranging. Your smartphone is a useful gym tool—for logging reps and changing up playlists (but not sneaking flex pics). These mid-length shorts are the only ones here with a dedicated phone pocket that's vertically oriented. It keeps your phone out of the way and securely holstered at your hip. These comfortable shorts are the very definition of versatility. You can swim in them, go for a run, practice yoga, or simply kick back and relax. 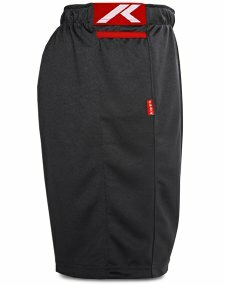 And thanks to the unique recycled 4-way stretch fabric's anti-odor properties, you can even get in multiple workouts before they need to be washed. 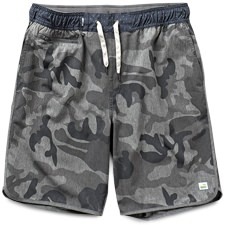 For guys that go hard, these lightweight shorts are cleverly cut for a full range of motion. They have a no-pinch, no-bunch waistband and laser-cut ventilation, but what we really appreciate is how they continue to look sharp and new even after months of intense, high-friction training. The best kicks to crush your workout (or at least look like you might). Sleek and comfortable Japanese-infused gear for your workout (or whenever).